Why Get Hired By a Millionaire or Billionaire? One of the quickest way of getting out poverty is by working for a millionaire. The reason why some people experience poverty is because of their deep rooted habits, there are things that poverty stricken people do that keep them in perpetual poverty. By working with millionaires and billionaires you can easily drop these bad habits which are keeping you poor and then replace them with habits which will make you rich. From my own personal experience of poverty, I can say that dropping these bad habits and replacing them with millionaire mindset habits does make a difference. I spent one year with a millionaire and it completely changed my paradigm and the way I see the financial world. The millionaire did not give me more money than usual but what he taught me was invaluable. By networking with millionaires or billionaires if you’re really lucky will help you achieve your dreams of getting out of poverty. You don’t need to be a Harvard or Yale graduate. You don’t even have to be a Cambridge or Oxford student. What you need to be hired by billionaires and millionaires is drive and determination to succeed. Millionaires and billionaires want protégé’s who have incredible determination to succeed and to absorb every morsel of insight the millionaires offer. What millionaires and billionaires also want to see is tremendous resilience. The reason Bill Gates. Warren Buffett and Larry Ellison are billionaires is they don’t know when to give up. They keep going until they realize their dreams and that is how they expect all their employees to be. You must also have vision and creativity to see what others miss. Millionaires and billionaires love employees who are ambitious and have a vision of the future and have the determination and resilience to get there. To impress Billionaires like Bill Gates you must highlight all these qualities and how you have them in abundance. At the end of this post I will be sharing a sample letter to millionaires and billionaires asking them for a job, you can use this template my modifying and editing the content. Who Do Millionaires and Billionaires Hire? Millionaires and billionaires hire anyone who can make a real contribution. When I was hired by a millionaire I was willing to work for free. The millionaire could see that I was hungry and wanted to succeed, he could also see that I was not after his money and my energy and drive could move the company significantly forward. When millionaires and billionaires see hungry motivated individuals they begin to relax and begin to share some of the insights that made them filthy rich. I can say from my own personal experience that the insights given to me by the millionaire who hired me has helped to make a significant financial difference to my life. Which Millionaires and Billionaires Will Hire Me? There are so many millionaires and billionaires in the U.S. What you need to do is pick several millionaires and write to them either by email or by post. You can try your luck with billionaires such as Warren Buffett, Bill Gates, Mark Zuckerberg and Larry Ellison. You can also try millionaires such as Ellen DeGeneres and even Lord Sugar from the UK. You should contact a billionaire or millionaire who can relate to your personal circumstances. When I applied to millionaires I always choose rich people who had a hard life from childhood because I have had the same experience. When the millionaires can relate to your personal circumstances they are more inclined to hire and mentor you as their protégé. How Do I Apply for Jobs at Millionaires and Billionaires Company? First off you have to choose 10 millionaires or billionaires which you can relate to from your own personal circumstances. If you were a nerd at school, you could relate to Bill Gates. If you’ve been working from a young age and have entrepreneurial spirit, you could relate to Warren Buffett. If you were a rebel at university you could relate to Larry Ellison or Mark Zuckerberg. Your success in getting a reply depends on how well you choose your millionaires and billionaires. 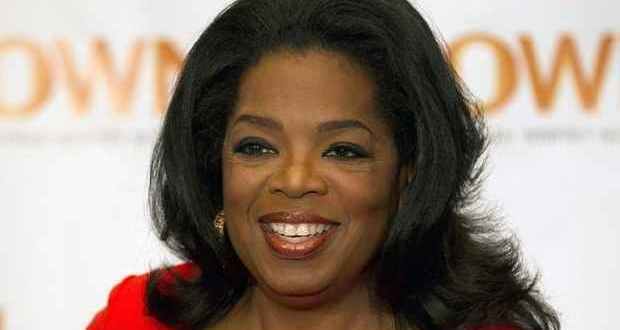 I have a friend who was overweight and she used this as to relate to Oprah Winfrey for mentorship. Now 12 months on she has lost a lot of weight and is making more money in a year than she ever made in a lifetime because Oprah has been sharing her insights and motivating her. Thank you for taking the time to read my letter, I appreciate it very much. I wanted to take this opportunity to ask for your advice and seek your mentorship. I have been overweight for 20 years now and whatever I do I just cannot remove the excess weight. This weight has sapped my confidence and has held me back as I lack the confidence to pursue my dreams. I am full of determination and motivation but when I fail to lose weight this determination fizzles out. I do have a resilient character and I will succeed one day and I believe I am coming closer and closer to my goal of losing weight one day. I am a great fan of yours and have been following you all my life, it is your inspiration which keeps me resilient and undeterred towards my goal of losing weight and getting out of poverty. I have read all your books and always watch your shows for insights and knowledge. You have kept me going all these years and I really wish I could thank your personally. I would love to have the opportunity to meet you so I could learn from you. I know that I’m missing some insight or knowledge which is holding me back from achieving my dreams. I am certain that it would make a difference in my life if I were to meet you and would love the opportunity. The sample letter above is short and sweet, millionaires and billionaires don’t have time to read long essays, they like things concise and to the point. The letter starts by relating to the billionaire with their own personal life experience, this will get the millionaire reading on. The sample letter also does not ask for a job but just an opportunity to meet the billionaire so they can discuss the insights and knowledge required to realize the senders dream of getting out of poverty. All in All, this is a template which will get a response. You can edit this template to your personal circumstances and then contact millionaires and billionaires such as Bill Gates, Warren Buffett, Mark Zuckerberg and more. The likelihood of getting a response is low and depends on how well you can relate to the millionaire or billionaire. There is however a chance and I’ve seen people who have got responses from millionaires and billionaires and it has changed their lives.